Working together since 1979, the Keilhauer brothers have evolved beyond task chairs to embrace the softer side of office furniture. “When you are at a cocktail party, do you ever talk like this?” Mike Keilhauer asks as he stands beside me, staring straight ahead. “Hi there, how are you?” When I turn my head to respond, all I see is his left shoulder. It feels like we’re about to run a three-legged race, and, instinctively, I inch away. “And you rarely talk like this,” he continues, now squarely facing me. “But this,” he says, shifting his feet so that he’s at a 45-degree angle, “is a much more amiable way to talk.” ​And he’s right. From awkward small talk to a productive brainstorm, no social interaction is too minor to analyze and ​optimize. As president of the contract office furniture company Keilhauer, Mike is constantly observing the way we converse and collaborate, to see if there’s something – a stripped-down task chair, a curved bench, a table with wheels – that might make our dealings with each other more productive, efficient and fun. HANGOUT, 2016 – The name of this series captures the casual spirit of the collection, designed with millennials in mind. 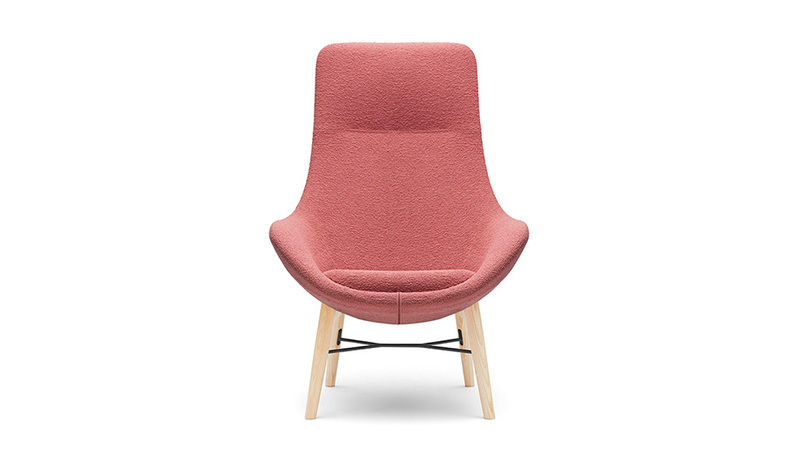 A collaboration with EOOS, the pieces are upholstered in wool, giving them the warmth of residential furniture. 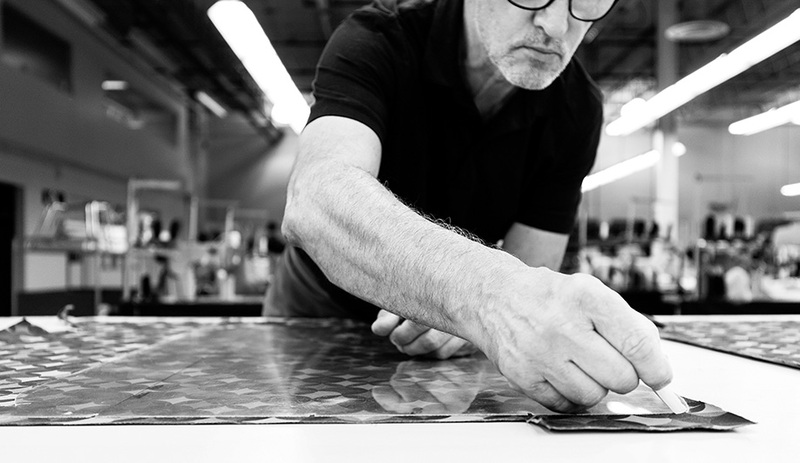 Achieving the type of environment Keilhauer strives for is actually more difficult than one might think; in this age of disruption, even the physical landscape of work has undergone seismic shifts. Every technological advance brings drastic changes, leaving the traditional office in a permanent state of flux. Open-plan spaces meant to encourage collaboration are often silent, with employees wearing earbuds. Office hotelling has done away with cubicle decorations – tomorrow your boss might be sitting where you are today. Desks themselves are now somewhat optional, as work can happen anywhere there’s Wi-Fi. As a result, office furniture has become hard to define. Which is why Keilhauer makes for an interesting case study of how to survive in an industry that’s constantly changing. The small-ish company (it has 232 employees at its headquarters and two factories in Toronto) has never been interested in competing with larger corporations in terms of offering complete office systems. When Mike started the company 35 years ago with his brothers Ron, Rick and Steve, it dealt in seating. They had learned the trade from their father, Ed, a master upholsterer who had run his own contract furniture company. 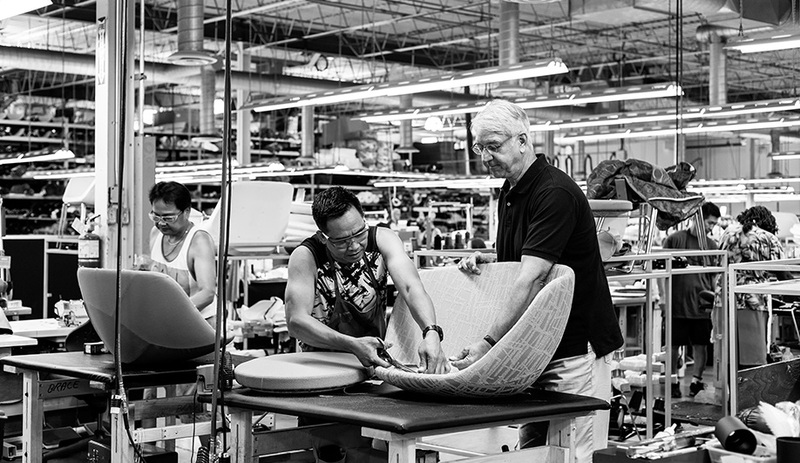 The Keilhauers made their name with well-made, well-designed chairs. But a couple of years ago, when the options for office furniture began to blow wide open, they realized they needed to take a step back and re-evaluate the company’s aim. SQUIG, 2006 – The company noticed that, even with all the ergonomic chairs on the market, many employees preferred to sit on exercise balls at work. 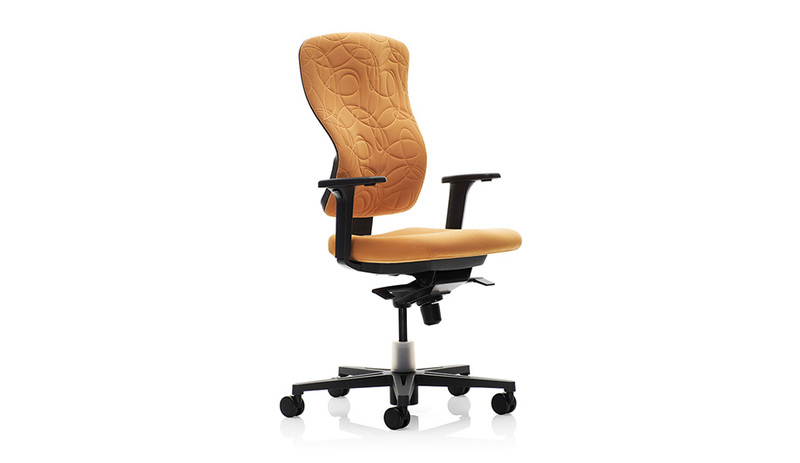 With that observation, Keilhauer partnered with the University of Waterloo, Ontario, to conduct ergonomic research, which identified differences in how men and women prefer to sit. EOOS then developed a task chair with comfort for both. “This new world of collaboration is a softer world,” says Mike. “So if people are interacting more, what does that look like? We redefined who we are – we’re still predominantly about seating, but now we’re more about what we call ‘heads up’ spaces.” Think informal areas, breakout spaces, office kitchens, small meeting rooms and even boardrooms; anywhere employees might interact with each other, Keilhauer imagines the chairs, sofas, tables, stools and benches that will help them do so. 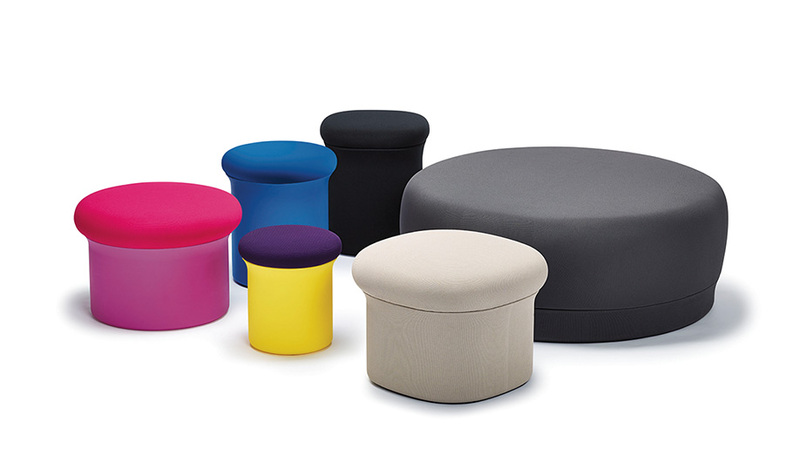 DOKO, 2016 – Designed by Ayako Takase and Cutter Hutton from the Rhode Island firm Observatory Studio, Doko is a colourful line of mushroom-shaped ottomans and pouffes. The playful form is intended to impart an easy informality. For instance, the optimal conversation angle Mike was demonstrating features prominently in the company’s Talk series of benches, chairs and tables. Knowing millennials would soon make up the majority of the workforce, he was curious about what they might want in an office environment. The spark of the design didn’t strike while standing at a cocktail party; it came from watching his 20-something-year-old kids. “I have never seen a generation that is so huggy,” he says. “I think because social media separates them, they need some physical contact.” But how to make office furniture that facilitates closeness? 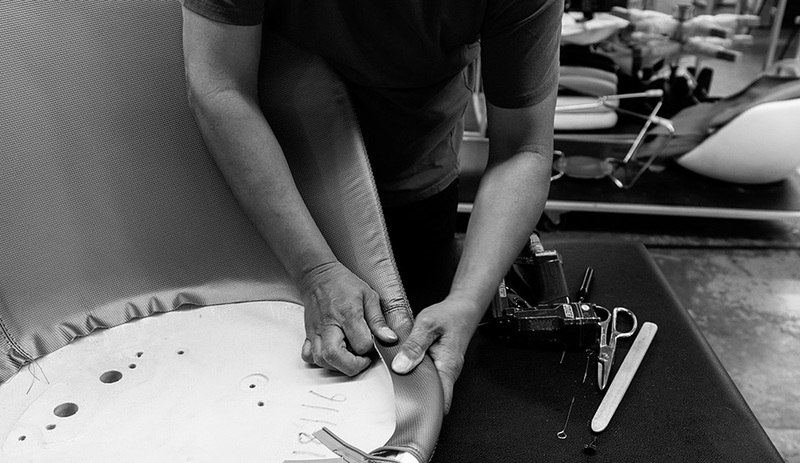 Keilhauer reached out to Austrian firm EOOS, a frequent collaborator. They came back with a series of high-backed, V-shaped benches and chairs. 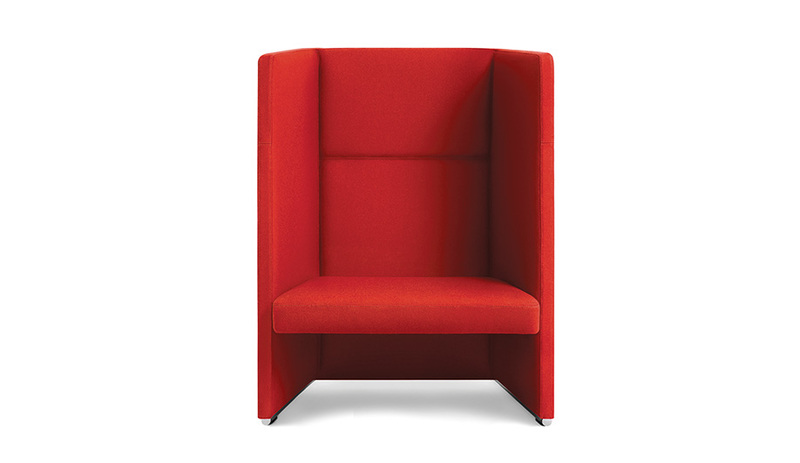 Seats are pitched at that 45-degree angle for easy conversation, and the tall backs lend a sense of privacy. With tables that mirror those angles, the series can easily be configured into cozy nooks. It’s not bleeding-edge design, but the series is elegant, thoughtful and not something that will look dated in a year or two. Those same qualities pop up in all Keilhauer products, from the completely mobile Wheels series to the smartly tailored Cahoots line. This understated style means the furniture can be incorporated into wildly different workplaces. 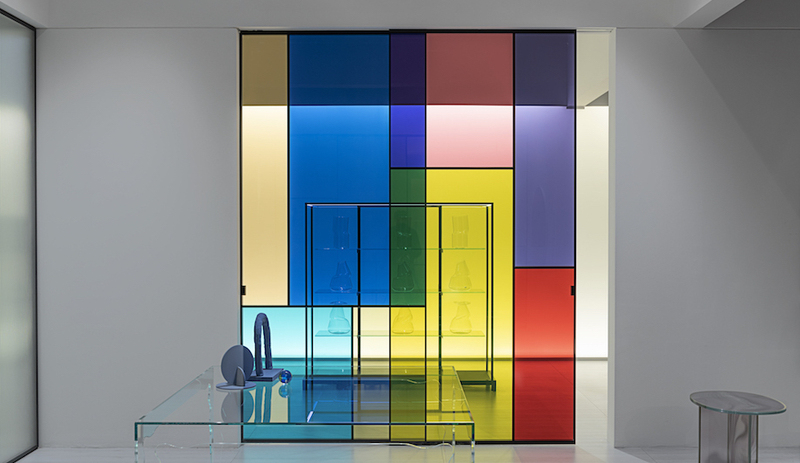 TALK, 2012 – This seating and table series addresses the art of conversation head-on. EOOS designer Gernot Bohmann says that to maximize a sense of focus, “We came up with the idea of the ‘magic angle’.” Seats are set at 45 degrees, while the high backs create privacy. 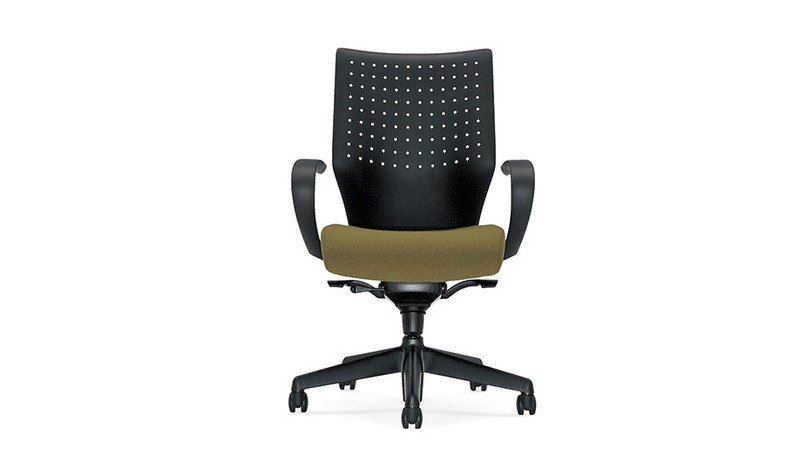 TOM, 1997 – The company invested $2 million into the creation of this now-iconic task chair, which can easily be adapted for executives, middle management or interns. “It was a leap for both of us,” says designer Tom Deacon. 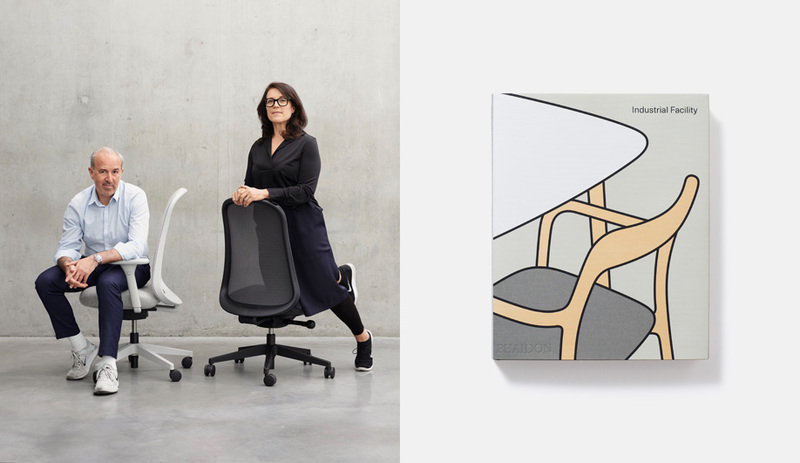 “I had never done a project of that complexity using large-scale moulded parts, and Keilhauer made an enormous investment.” The ability to customize resonated with clients: the year after the chair was released, the company’s business grew by 100 per cent. What underpins that workflow is a commitment to sustainability. The company is nearing net-zero use; it offsets its electricity use by buying energy credits, and any material waste that it can’t reuse or recycle is converted into energy. 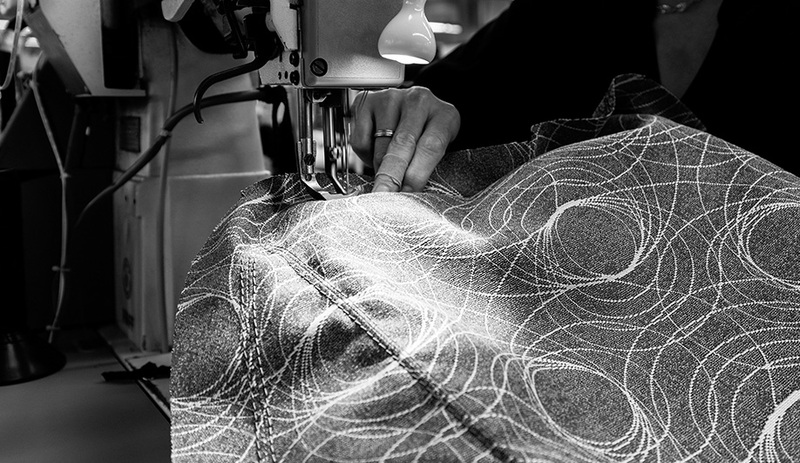 Before any product is made, its material, sourcing and potential lifespan are all evaluated. Every piece of furniture is BIFMA gold-level certified. 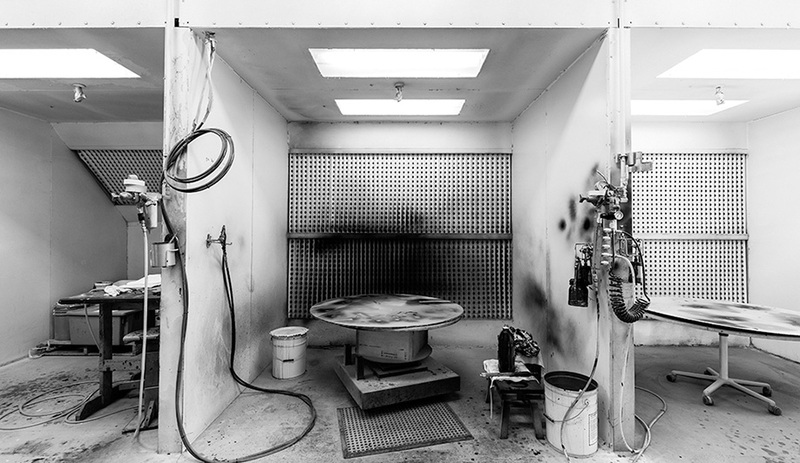 And every employee can make suggestions as to how the company can achieve its goal of closed-loop manufacturing. For instance, the logistics manager suggested that instead of packing chairs in cardboard boxes, the chairs could be wrapped in reusable blankets. That small initiative has eliminated close to a million boxes so far, and also means the company can fit 25 to 50 per cent more product on each truck, lowering greenhouse gas emissions even further. This anecdote speaks to the inclusive culture of Keilhauer. The chair plant is airy and bright, and when I walk through with the president, there is no ripple of fear but plenty of hellos and smiles. “You’re allowed to have a sense of humour here,” says Jackie Maze, vice-president of sales and marketing. Indeed, fun is one of the company’s corporate values (along with integrity, capability and creativity). Not surprisingly, there is very low staff turnover. Collaboration, it seems, is a key part of the company’s ​design process. “We meet often and have a lot of conversations. 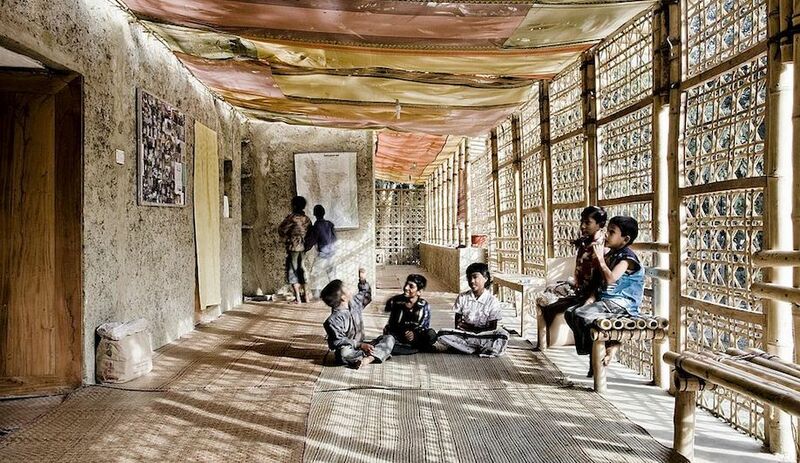 The work is deep, and the concentration is high – mixed with lots of laughs,” says Gernot Bohmann, co-founder of EOOS. Their latest collaboration, Hangout, is a collection of chairs, ottomans, coffee tables and couches – everything a company might need for lounge and meeting areas. As Mike shows me maquettes of the collection, he playfully moves the tiny models into different configurations. “If you put a couple benches together, you can create a curve, or you could add a table there or maybe a stool here.” He’s like a friendly giant, imagining the conservations, the jokes and ideas that might happen. His attitude is a good reminder that with the right people and the right ideas, work can be more than just workable. It can actually be fun.